Penguins. They are some of the most majestic and tough birds around. 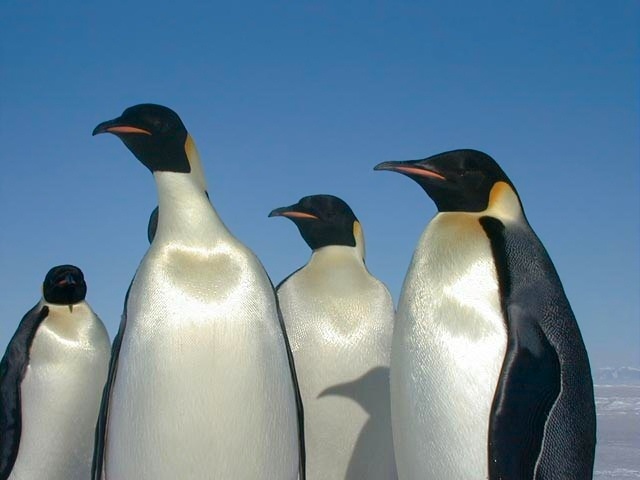 The largest group of all penguins, is the Emperor Penguin. 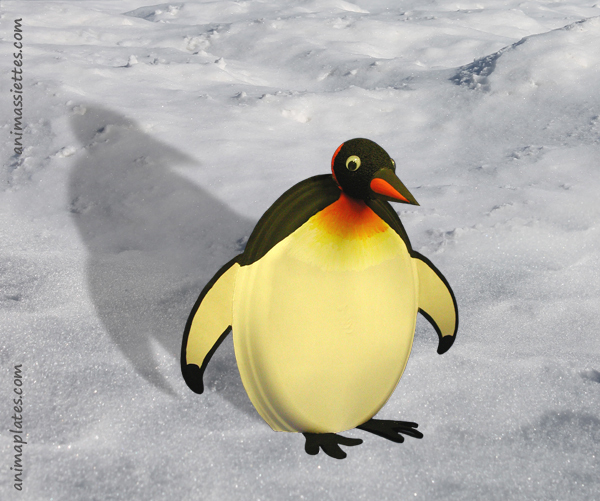 Our paper plate penguin project is a replica of the Emperor Penguin. If you can’t quite recall what the Emperor Penguin is or what the importance of this bird is, then think about the movie Happy Feet. A kids movie, yes, but it is great for all ages because it teaches about the community of Emperor Penguins and gives lessons about being different. You mean a children’s cartoon movie contains accurate information about a species? You got it! Because the movies are meant to keep children’s attention, they don’t usually have that much accurate information. They try to keep them popping to keep the interest of their biggest audience. While you are working on this project, you can pass along some interesting facts about the Emperors. While they are birds, Emperors do not fly. They do have bones within their wings to help sturdy their treks through water during hunting times. For the most part, you won’t come across many Emperors by themselves or in small groups. As a social group of birds, they will travel in very large groups. Their ability to be social, is also what helps to keep them alive during the severe cold and wind they will encounter. Wind chills in Antarctica can reach -76˚Fahrenheit (-60˚C)! As the weather there gets colder and the wind picks up, they take to each other to stay alive. 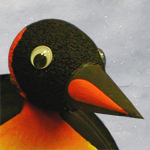 Emperors will create a giant circle of penguins and constantly move around each other in sync. Think about a bunch of circles, starting small and getting bigger. Each moves in a certain direction and the constant movement helps to keep their bodies warm. The real secret though, is the centre, smaller circles. Every penguin takes its turn warm and cozy in the center of this giant community circle. Don’t worry about them getting stingy, because eventually they will move out to the edge and take their turn facing the cold. Emperor penguins also take a different approach to hatching their eggs than other birds do. When you think about birds, you think ofthem sitting on the eggs in a warm nest waiting for that fascinating day of hatching. These guys don’t sit on their eggs at all… What? The females don’t even see the day their eggs hatch either. We are talking almost a complete role reversal. After the eggs are laid, the females will go in a large group to find food. Every female does this. The eggs are then left in the care of the male Emperors to keep warm and to get it through the hatching phase. Since they don’t sit on the eggs, can you guess what they do? They actually perform a balancing act and place the eggs on their feet underneath a type of pouch to keep the eggs warm from the elements. They will do this for up to 2 months until the females return. Yes, they will go hungry for as long as it takes for the females to come back. After the eggs have hatched, the females will feed the chicks and the males will take their turn hunting. The streamlined shape of the penguin, combined with the back and white contrast of its plumage, gives the impression that this bird is wearing a tuxedo! Let your imagination do the rest, and decorate one all dressed up for a night on the town!